Why Polished Concrete Rocks! — T.W. Hicks Inc. 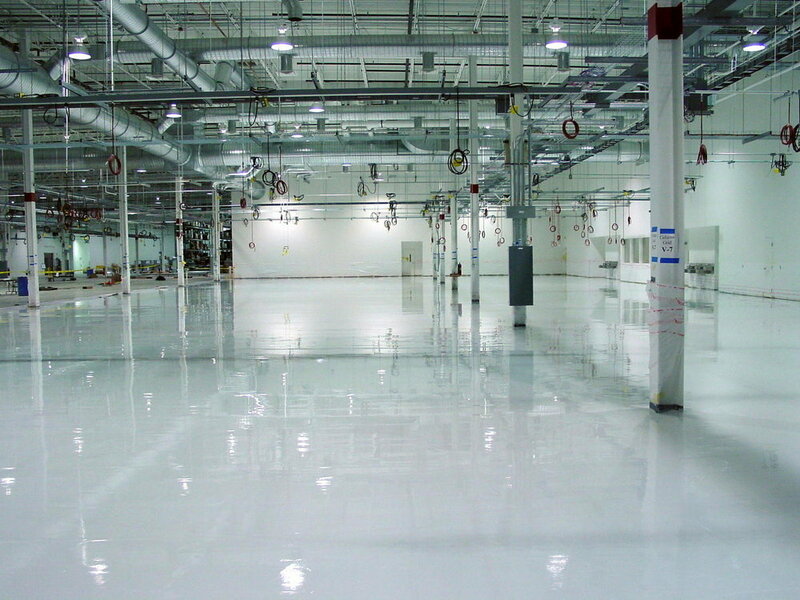 In recent years, we have seen a lot of people turning to polished concrete for their industrial flooring. Why, you might ask?! Well, because this option offers a high-gloss finish that never needs waxing! It looks great and stays looking great for years to come—and luckily for you, it is one of the services we offer here at T.W. Hicks, Inc.! Today, we are going to tell you a little bit more about concrete polishing so that you can have a professional view and understanding of this process! One of the best parts about polished concrete is that it can be done to brand new concrete or old concrete, we just need to sand down the concrete to get the shiny look that resembles high-end stone! After that, you never have to wax it—it will continue to keep the shine from that point on! Along with its fresh look, it is super durable and has the same performance of concrete—it is the best of both worlds! Because of this, we see why many retailers, warehouses, and offices are switching to this flooring option, and we are here to help them make that switch! Depending on both your situation and wants, the level of shine can be chosen (this is because polishing concrete is a process, we can continue to sand it down to get the wanted look). This ranges from satin to super high-gloss. Do you think polished concrete is what you and your facility is looking for?! Whether we are pouring new concrete and sanding it down, or working with what is already there, T.W. Hicks, Inc. is the flooring experts you want to use when going through this process! We have years and years of experience in this field and will be able to exceed all of your expectations! Remember, each and every one of the flooring situations is unique, so some older concrete floors may not be a candidate for this. No matter what, we will make sure we do the job right by understanding your wants, as well as what is best flooring for you! You can always count on us here at T.W. Hicks, Inc.!